We are deeply grateful to our Developers & Contributors for sharing our vision to enhance student learning and appreciation of classic literature throughout the world. Brief bios of these amazing members of our GLT Global ED team are listed alphabetically below. We are proud of their creativity, collaborations and contributions to our Lit Trips Library. I love Google Earth so when I saw Google Lit Trips as a class choice, I jumped on it. I learned the basics, YouTube helped me learn more, and I started looking for a project. At the time, the only Lit Trip for early childhood was Make Way for Ducklings. We viewed it, and my students loved the idea of bringing the book alive virtually. It was also the year we changed reading series, and Lost! by David McPhail, became one of our stories. It was set in Boston, and correlated with Make Way for Duckings. It was perfect for the Smartboard. I began making my first Google Lit Trip. 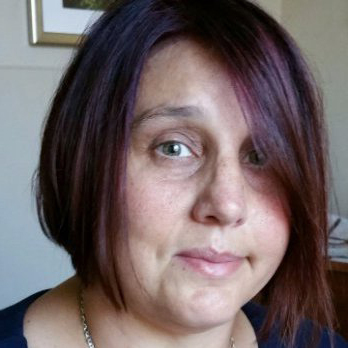 Antonella Albini has been the Teacher Librarian at Canley Vale Public School, Sydney Australia for since 2005. The school has over 800 students and she works with years 2 through to years 6. Previously, at the same school she has been an ESL teacher and a classroom teacher. Having also completed a degree in ICT and Education, Antonella continuously finds ways to integrate ICT into her teaching and learning program. 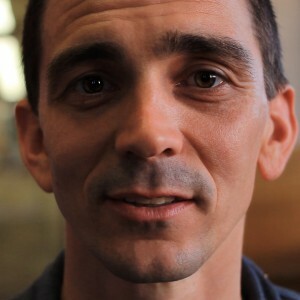 Kevin is passionate about meaningfully integrating technology and teaching pedagogy in the classroom. He has taught Elementary, Secondary, and has served as District Consultant supporting 126 sites. In 2007, Kevin was selected one of only 50 Canadian Apple Distinguished Educators. He holds an M.A. in Educational Leadership, and works towards building understanding and capacity of Information and Media Literacy. He has served as the President and Conference Chair for Computer Using Educators of British Columbia, is a frequent conference presenter, and serves as a founding member of the GLT Global ED Board of Directors. 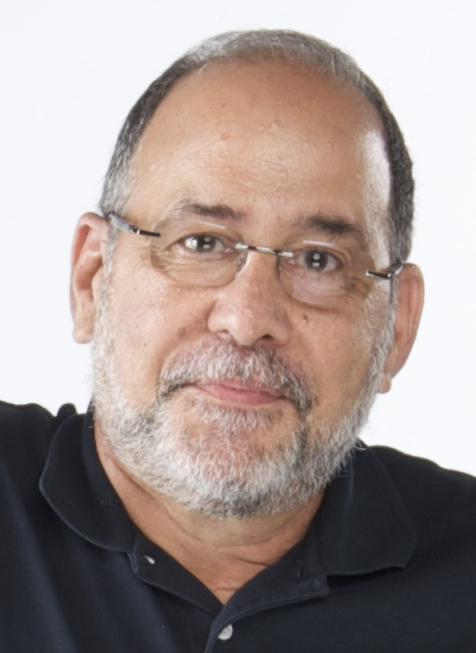 Marc Aronson earned his doctorate in US history at NYU and has built his career as an award-winning editor and author of nonfiction for children and teenagers. He was the first recipient of the Sibert medal from the American Library Association for excellence in nonfiction (for readers through 8th grade), Sir Walter Ralegh and the Quest for El Dorado. He edited the 10th Sibert medalist, and has written and edited several YALSA Nonfiction prize finalists, such as Witch-Hunt, Mysteries of the Salem Witch Trials . A frequent speaker at schools and to professionals around the country, he currently teaches full time in the Rutgers University MLIS program. Karen works with K– 4 on a regular basis in the computer lab, transforming the curriculum through technology, with the goal of developing life-long 21st century learners. She has a B.S. in Deaf/Hard of Hearing Education and a M.Ed. in Elementary Education. Her peers selected her recipient of the Distinguished Faculty Award in 2013. Diane Barfied serves as a Facilitator for the South Georgia Consortium for Assistive Technology. She hasresented at many conferences for Assistive Technology including the Georgia IDEAS conference. Currently she works as a consultant for Don Johnston, the leader in Assistive Technology serving as a trainer of teachers and students as they use technology in their classrooms. 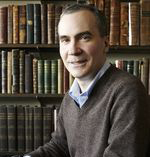 Tobias Boes is an Assistant Professor at the University of Notre Dame, where he specializes in German culture during the nineteenth and early twentieth centuries, and in the history of the novel. The goal of this exercise, and of the class as a whole, was to show that literature can act as a kind of map and has a profound effect on the ways in which a culture imagines its place in the known world. A secondary goal of the Lit Trip assignment was to raise student awareness of intellectual copyright issues; all quotations required proper citation and all images had to be either in the public domain or had to undergo prior copyright clearance. Anne is a lifelong learner at heart. She holds a B.A. in English, Masters in Library Science & Educational Technology, and a law degree. She started her new career in the Herricks U.F.S.D. in New York as an elementary library media specialist in a K-5 school in 2008, before moving to New Hyde Park Memorial High School, a 7-12 school in the Sewanhaka C.H.S.D., in 2011. She is excited to share the fun, creativity and learning possibilities of Google Lit Trips with her students and colleagues. Marina Budhos is an Associate Professor of Creative Writing and English at William Paterson University. She has published both fiction and nonfiction for adults and teenagers, including the award-winning Ask Me No Questions, and most recently, Tell Us We're Home. Stacey Buckalew, ED.S. holds a Master's Degree in Library and Information Science and a Educational Specialist degree in Instructional Technology. She is a frequent presenter at Georgia state education conferences where her students have taken home several awards. In 2006 she was honored with the 2006 GEM (Going the Extra Mile) Award and also recognized as Teacher of the Year. In 2009 she received the Georgia Media Exemplary Award from the state of Georgia. Jerome Burg spent 38 years as a high-school English teacher. Jerome created the Google Lit Trips Project, "as a sort of personal paying it forward expression of gratitude to Mr. Kay, my own high school English teacher who changed the course of my life, and as an expression of gratitude for educators around the world who continue to inspire their own students, as Mr. Kay inspired me." He holds a Masters in Education specializing in Educational Technology. He is a popular conference and workshop presenter, is both an Apple Distinguished Educator & Google Certified Teacher, and co-author of Bookmapping: Lit Trips and Beyond, published by the International Society for Technology in Education. Kim Burris is a passionate educator, and occasional writer who works with 70+ teachers and administrators across five schools in Orinda, CA. She currently is a Teacher on Special Assignment, working with teachers to help build strong teaching teams, assisting in planning, implementing and evaluating all things literacy based. Kim interfaces with staff developers, district technology & math coaches, as well as with coaches outside the district. In 2007 Dorothy Burg became a Ministry of Education eFellow and wrote a research paper on "Podcasting with KPE." She is a Google Certified Teacher and an Apple Distinguished Educator. Her experiences in eLearning began in the classroom establishing initiatives such as television and podcasting and are strongly influenced by the question,"Will this contribute to raising student achievement outcomes and provide a 21st century education experience?" Holly Butora is a fifth-grade reading teacher at Presbyterian Day School, an all boys independent elementary school. She has a B.A. in Early Childhood Education and Elementary Education, and a M.A. in Elementary Education. When not teaching her boys at school, Holly loves to spend to time with her husband and daughter. Holly has always loved finding innovative technologies to draw her students into being active learners. Upon discovering Google Lit Trips, she knew instantly that her students would love the challenge of creating their own. For their final reading project of the year, boys selected a book they had read during the year to create a Google Lit Trip. The boys rose to the challenge, going beyond Holly’s expectations and developing many great Lit Trips. The boys loved creating the Lit Trips and told Holly that she had to do this project with her classes again next year. I have spent most of my working life in the IT industry, currently as a teacher of Computer Science, and head of department, at a prep school in England. I love exploring, learning about and applying technology. Google Lit Trips have created the ideal opportunity to apply this passion. Outside of work my interests include family, reading, travel, American Comics culture and comic art of the seventies and eighties. Mr. Scott Colvin has taught English at all grade levels 7-12 since 1998. He is currently teaching in the English Department at New Hyde Park Memorial High School. His use of educational technology continues to be a mainstay of his success in the classroom. Thomas holds a BA in Anthropology and an MA in Information Technology. He has taught AP World, AP Human Geography, AP Computer Science, AP Biology and AP Environmental Science during his teacher career. He also works as an independent contractor for the College Board. He frequently speaks on how to integrate technology into the Advanced Placement classroom. His favorite technology is Google Earth, which he uses as an interdisciplinary platform for teachers to share data they collect about the earth. He is a certified Google Teacher and has spoken about integrating Google Maps, Earth and Sketchup in the classroom. He has created a site for teachers to share ideas on technology integration at Teens and Technology. Holly is a technology integrator and STEM advocate in the Pelham School District in Pelham, New Hampshire. She works with students to teach the engineering design process and relates STEM challenges to real-world issues. She is a member of the LEGO Education Advisory Panel (LEAP) and is a Google Certified Teacher. She embraces bricks, books, and maps as her tools of choice in her classroom. Holly works with over 950 students in first through fifth grade with a focus on math, science, and technology. While teaching first graders about the ocean, she decided to share one of her favorite wordless picture books, Flotsam. She enjoys finding ways to enhance literature with technology and Google Lit Trips seemed like the perfect fit. This project was the combined effort of eight first grade classes and over 200 students. Each class was assigned a photograph from the book to investigate. Kathleen has been a school librarian since 1992. She was awarded the New York Times/Carnegie Corporation's "I Love My Librarian" award in 2013. She continues to work and live on a small island in the Puget Sound. "My students come to the library to do research; my goal is to influence them with a brief lesson that creates a change in their brain. I also provide parent-led literature groups." I have served the Edison Township Public Schools in New Jersey since 2003. My work, at the local and state level, has been consistently grounded in the infusion of 21st Century learning skills and technological trends, differentiating instruction to meet the needs of a wide array of learners, fostering positive teacher-student relationships, and using data to inform meaningful instruction. Through employing expertise in the areas of professional learning communities, inquiry-based learning, and new literacies, my activities and accomplishments in the field have grown to encompass every aspect of the learning experience. I have facilitated multiple professional development workshops with a concentration on research-based instructional strategies, educational technologies, and student engagement. I have been teaching for 30 years and am passionate about both children's literature and the integration of ICT across the curriculum. My dual role in the school allows me to combine these two passions into my teaching. Google Lit trips provides me with the opportunity of taking great children's literature and extending it into the world of ICT. I have dual postgraduate qualifications in both Teacher Librarianship and ICT. I enjoy creating online activities that have both a Library and ICT focus such as this Google Lit Trip and sharing them with other like-minded teachers across the globe. Developer Jessica Graham has produced the first "Teachers' Edition" Google Lit Trip. She includes extensive additional resources for enhancing the teaching of this fascinating story. Ms. Graham developed the Priscilla and the Hollyhocks (teacher's edition) Google Lit Trip as part of a Clark County School District Teaching American History Grant under the direction of Christy G. Keeler, Ph.D. She wishes to express special thanks to author Anne Broyles, Christy G. Keeler, Ph.D, Virginia Thorpe and to Jerome Burg for their support and assistance while she worked on this project. "I have been teaching for many years, mostly in Maine, and really love my job. Besides working with high school students, I enjoy the many ways teaching requires me to be creative and use my imagination. Every day is different and each year allows me to develop my material a little more. Besides teaching, I enjoy hanging out with my three daughters, gardening with my lovely wife, and going on hikes with my chocolate lab." Lane is always on the lookout for new and different ways he can share his love for geography, history and reading. As soon as he saw the URL GoogleLitTrip.com on his computer screen, he knew he'd found a fascinating way to do all three. He derives the most pleasure from teaching when he can see that his students are just as excited as he is. Lane is in his 27th year of teaching. Lane holds a B.A.in East Asian Studies, and an M.A. in Elementary Education. Lane received a Fulbright for one month of travel to Jordan. He spends his remaining time darkening the stages of various community theaters in Northwest Ohio. Hart conducts research and provides outreach that supports sustainable coastal development along the Great Lakes. David's research occurs at the intersection of geographic information science, urban planning, and environmental management. Madeleine Hart (daughter of David Hart) was a student at Madison West High School when she helped develop the "Big Two-Hearted River" Lit Trip. She is a student at Beloit College majoring in biochemistry. Noah Hart (son of David Hart) was a student at Madison West High School when he helped develop the Paddle-to-the-Sea Lit Trip. He is a learning analyst at Penn Foster in Boston, MA. He has a B.A. in Anthropology with a minor in Learning Sciences from Washington University in St. Louis. Matthew holds an M.A. in English Literature, specializing in 20th Century American and English Literature. He wrote his master's thesis on Cormac McCarthy's Blood Meridian. Matthew has presented at multiple educational conferences, and was named a Rotary Club Outstanding Educator in 2012. 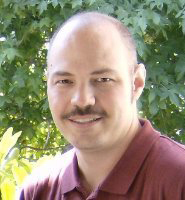 Besides teaching at University High School, David Herring maintains the Google Earth Education Community website. Prior to working as a Media Specialist, Stacy taught High School English. She holds an M.A. in Library and Information Science, and is Nationally Board Certified in Adolescent/Young Adult Literature. Regarding her Lit Trip onThe Brothers' War by J. Patrick Lewis, she says "This is my attempt to plot the locations of Civil War battles referenced in Lewis' work, and to reflect the emotional journey J. Patrick Lewis captures so eloquently in poetic verse. " By utilizing Google Earth, literature can be experienced in a format that appeals to a variety of students' learning styles. Google Lit Trips enable each student to make cross-curricular connections, such as the comprehension and analysis of literature along with acquiring new learning in Geography and History. Reading Rocks @ MHS. 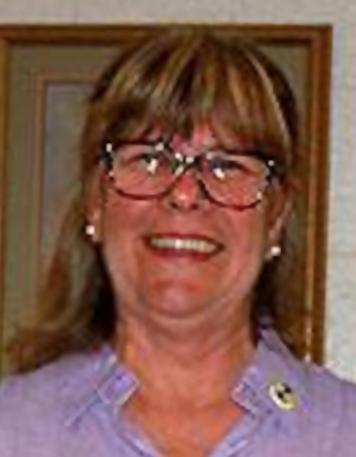 Gail has taught technology integration workshops in the United States and in Europe. She is an adjunct instructor at the University of North Carolina at Greensboro. She travels to counties across North Carolina teaching and modeling technology integration strategies to grades K – 12. Terri Izatt has been a teacher for 26 years, 18 of them in Elko, Nevada; mostly in Second Grade, with stops in Kindergarten and Reading/Math Intervention. She writes curriculum; maintains a blog at her website, Kinder Kapers; creates many of her classroom materials; and sets up her own school "reading nook" where she shares her personal collection of books, which probably numbers in the thousands, if she ever stops to count. She is also an enthusiastic outdoor educator, and has been a leader and trainer for both Girl Scout and Boy Scout troops. The Google Lit Trip for Blood on the River: James Town 1607 by Elisa Carbone was created entirely by Mrs. Jett's 6th grade students. The students "took on the role" of main character, Samuel Collie,r as they imagined what Samuel might have thought as he traveled from London, to the New World, to James Town in 1607. When the students were finished, they had the opportunity to present the project to the author. Mrs. Jett and her students wish to express their gratitude to Stephanie Stargardt, who assisted with research and author visit, Dr. Derek Wasnock who supported the project and advocated for the author visit; Tamara Howerton, Jackie Gooden-Seay, and Robin Edwards, our Technology Integrators who worked with Mrs. Jett and to Dr. Gayle A. Hines, who co-ordinated the publication of our project on the the Google Lit Trips site. The 2013 Honors World Literature and History 10 Students. What a great concept for a Google Lit Trips project. This class had students creating Lit Trips for three different literary works, all dealing with World War II. From the Pacific and the European fronts to the controversial relocation of Japanese-Americans in the United States, students immersed themselves in the many facets of the war's impact. All three are bundled in a single download. Be sure to download the WWII Lit Locations Resource pdf file provided by the teacher. It includes the parameters of the assignment, an information collections table, and a rubric. Nick Kwan is a father, husband, cook and international educator. As a teacher of computer science and technology, he has had the privilege of living and working in the greater Vancouver area, Istanbul, Beijing and Warsaw. Exploring the world through his camera lens is a simple passion he likes to indulge whenever possible. Nick has been recognised as an Apple Distinguished Educator and Google Certified Teacher for his work in educational technology. "I believe that Lit Trips provide a unique enhancement and richness through the integration of technology in the reading process. Just like eBooks provide a different reading experience, GLTs take the reader on a deeper, interactive journey." Eva is the school-based staff development specialist and a seasoned grades 3-8 teacher with an emphasis in English as a Second Language and Gifted Education. Her many contributions to educational technology include being a Member of the Board of Directors for the ISTE 1 to 1-SIG group, Co-Director of The Geo-Literacy Project, Co-Chairperson of "Day in the Life of a One-to-One Learning Environment," Senior Trainer/Intel Teach to the Future, Apple Distinguished Educator, Educational Consultant for The George Lucas Educational Foundation and PBS, and Macromedia/Adobe Educational Leader. Carol, an award-winning educator, taught for 33 years in the Niskayuna Central School District in upstate New York. She is now a recognized educational technology consultant presenting at national and statewide conferences and offering professional development for school districts. She is a Google Apps Certified Trainer, and the Google Apps For Education Regional Leader-Eastern States. she is a Smithsonian Laureate, an Apple Distinguished Educator, and a WNYT Educator of Excellence. 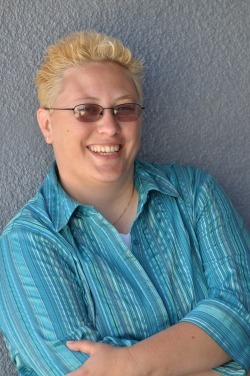 She has developed and published educational technology materials for Google, Adobe, Apple Computer, The International Society for Technology in Education, and the National Educational Technology Standards. When given the opportunity to use GLTs as an instructional tool, I rose to the challenge in creating a lesson plan using the historical fiction novel Bud, Not Buddy. This book is age appropriate for upper level elementary and middle school children. In the GLT, I added several teaching resources such as lesson plan ideas, useful websites, and books about children in the Great Depression. It is my hope teachers would use this Google Lit Trip to make social studies lessons meaningful and interactive. As I learn the craft of teaching, I encourage other aspiring teachers that are in undergraduate and graduate programs to use GLT's to expand their teaching toolbox to implement the best pedagogical practices. 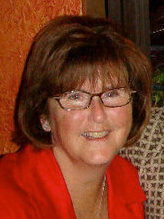 Cathy Maher enjoys sharing her expertise beyond her school district at several Google Apps for Education technology conferences. Her teaching endorsements include Visual Arts, Computer Science, and as a Reading Specialist. She holds a post-baccalaureate certificate in Instructions Technology in Education and a Master's Degree as a Literacy and Culture Major. Since the development of this first student created Lit Trip, Diane Main has become the Director of Learning, Innovation & Design (Upper School) at The Harker School in San Jose, California. Diane holds a Masters Degree in Educational Technology. She is a popular educational technology conference presenter. She also serves on Google's Geo Teachers Advisory Board. As a child, Heather always enjoyed reading and history. When she became an educator, she wanted to find a way to incorporate and convey these two passions into her classroom. Since reading The Watsons go to Birmingham- 1963 in a college literature class, Heather has been enamored by this book and the work of Christopher Paul Curtis. After a colleague mentioned Google Lit Trips, she instantly decided to create her own lit trip to use in the classroom. Heather currently teaches grade 11-12 English, and recently taught her first graduate course as adjunct faculty at Westminster College. She has a Bachelor's degree in Elementary Education and Music as well as a Masters in Reading from Westminster College in New Wilmington, PA. Heather has been in the field of education since 2001. In her spare time, she loves to sing at local venues and spend time with her husband, twins and daughter. Lacey developed the Fifteen Poets Lit Trip as part of a larger Google Earth project called Poetry of Place,created by the students of Mr. Thomas Cooper of The Walker School in Marrietta, Georgia. Prior to being a resource teacher for educational technology Mel McNamara was a high school media specialist for 7 years and before that she was an elementary school media specialist for 8 years. This Lit Trip includes photographs by Mel McNamara. 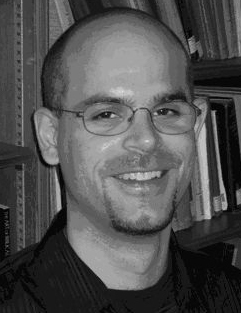 Jon Miller is an Associate Professor of English, at the University of Akron in Akron, Ohio. where he teaches American literature from the beginnings to about 1870. He also teaches American literary and cultural history. Jon has published extensively on the interpretation of American literature, in the context of the history of drinking and temperance reform. He has served as the editor of The Social History of Alcohol Review, the Alcohol and Drugs History Society's Daily Register, and editor for The Akron Offering: A Ladies' Literary Magazine, 1849 –1850. Mark Moran is a School Based Technology Specialist (SBTS) at Island Creek Elementary School in the Fairfax County Public Schools district. Previously he taught sixth grade for nine years. He maintains a website devoted to Northern Virginia Ecology. Mrs. Morris has lived in the San Francisco Bay Area her whole life. She attended Sacred Heart from kindergarten to eighth grade. She holds a Bachelors Degree, Teaching Credential and Masters Degree from Santa Clara University. Her Google Lit Trip for Riding Freedom concludes in an area near her school so it is of great interest to her students. Rod taught in Saskatchewan and Ontario, Canada, as well as Victoria, Australia. as an Instructional Technology Coach. His Google Lit Trip for Remote Man resulted from having been fortunate enough to meet children's author Elizabeth Honey while teaching in Melbourne. He currently is the Lead Technology Instructor for ETFO AQ, the online teacher training arm of the Elementary Teachers' Federation of Ontario. He also does training on Apple devices. He is passionate about mentoring learners to create empowering connections through formal and informal learning networks. Vanita Oelschlager is a wife, mother, grandmother, philanthropist, former teacher, caregiver, author, and poet. She is a graduate of Mt. Union College in Alliance, Ohio, where she currently serves as a Trustee. VanitaBooks donates all net profits to The Oak Clinic for Multiple Sclerosis and other charities where "people help people help themselves." Heather has worked in traditional and immersion class settings at the elementary, secondary and post-secondary levels since 1995. She holds degrees in French, German and Education, a degree in Elementary Education, and a Teaching and Technology certificate. Heather spent several years studying and working in Europe, experiences which highlighted the importance of communication and understanding between cultures and inspired my career in education. She attends Peace Education workshops through World Citizen. "My path to peace is engaging students in the idea of community, helping students discover their personal strengths, and empowering students to apply these gifts in order to make a positive difference in each of their communities." 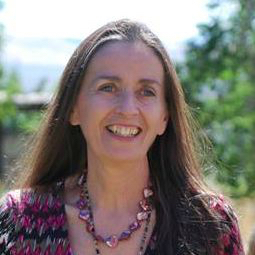 Elizabeth Partridge is the author of more than a dozen books. She has been a National Book Award finalist, an ALA Michael L. Printz Award runner-up, and twice a Boston Globe-Horn Book Award runner-up. She has won the Los Angeles Times Book Prize, the SCBWI Golden Kite Award, and the Jane Addams Children's Book Award. Partridge is on the faculty of the Vermont College of Fine Arts in the MFA in Writing for Children & Young Adults Program. She chaired the National Book Award Committee for Young People's Literature in 2007, and has served on the Los Angeles Times Book Prize Committee and the SCBWI Golden Kite Award committee. Teresa has a degree in Portuguese and French and a post-grad course in Translation (English and French) by the Institut Franco-Portugais and the University of Strasbourg. She holds an M.A. in Educational Technology. She founded the project "Viagens literárias" (Literary Voyages), which aims to provide access to digital learning resources about literature and other curricular subjects, as well as to support teachers and provide professional development on the use of digital learning resources. 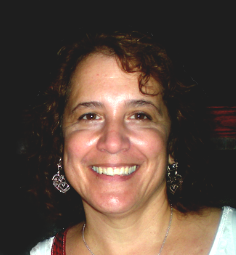 Teresa is a popular conference presenter, and serves as a founding member of the GLT Global ED Board of Directors. Hope is the Lower School Librarian at an independent school in New Jersey. She teaches library and information skills and, most importantly, a love of reading to Pre-K through 4th grade students. Librarianship is her second career, following 24 years as a manager in the telecom industry. She received her MLIS from Rutgers University. Hope finds Google Lit Trips the perfect way to combine a love of literature with a strong interest in geography. Her school’s motto, “The world is our classroom,” captures the essence of this personal passion and professional journey. She created the Sam Patch Lit Trip to support a second grade biography unit. Featuring two New Jersey locations and amazing feats of derring-do, it is the perfect match for young students ready to “jump” into great stories. Kathryn Starke, a native of Richmond, VA, is an urban elementary school reading specialist, literacy consultant, children's author, publisher, public speaker and freelance writer. A graduate of Longwood University, she earned her bachelor's degree in elementary education and her master's degree in literacy and culture. She is the founder and CEO of Creative Minds Publications and Consulting, a global educational company. The mission of CMP is to exemplify quality literacy instruction for all children. They develop and publish engaging and educational children's literature all written by teachers to inspire a life's lesson for elementary aged students. Kathryn spends every day motivating children to read, think, and learn. As a former first and second grade teacher in an inner city school system, This social studies trade book has been released in its second edition and is a recommended multicultural title by the California State Department of Education. Amy's Travels is a part of school curriculum throughout the nation and on six continents. Kathryn travels to schools, libraries, museums, and bookstores across the nation to share Amy's Travels with children, parents, and teachers. She presents literacy workshops for parents and teachers in urban elementary schools and serves as a public speaker for nonprofit organizations and events. 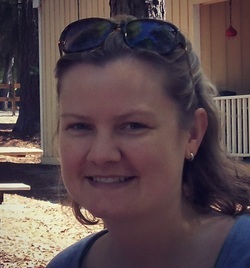 She writes as a freelance educational writer for parenting and educational blogs and magazines. Kathryn continues to write and share her passion for literacy with fellow educators. Learn more about Kathryn’s work on Facebook, Twitter, and Pinterest. Catrina Steiner is a graduate student at The University of Akron pursuing her M.S. in Elementary Education with a Focus in Literacy. She has taught in several local public school districts as a substitute teacher and Title I Tutor. After graduation, Catrina is looking forward to pursuing her calling as a teacher of young children. Susie’s first introduction to computers was in 1988 when her local library put the card file on-line. Susie has an M.A. in Early Childhood Education and a specialist degree in Curriculum and Instruction. She has maintained a class-room website for 12 years. Susie tries to connect technology with each lesson she teaches. She has accompanied some of her fourth graders to present at the Student Showcase portions of NECC and GaETC conferences. She was honored as Teacher of the year for 1998 and 2007. Melanie Turner holds a B.A. in Early Childhood Education, a M.A. in Reading Education, and a Specialist Degree in Instructional Technology. She has been a teacher since 2005 and an instructional technology specialist since 2007. Melanie has presented several sessions at the Georgia Educational Technology Fair and serves on the Georgia Educational Technology Fair Advisory Committee. Lori Vargo, Associate Director of Center for Literacy at The University of Akron, has been working in educational technology for over twenty years. She's been a computer science teacher, technology resource teacher, and technology coordinator. In 2003, she was selected an Apple Distinguished Educator. Linda S. White has an M.A. in Library Sciences from the University of North Texa,s and was a school librarian for 31 years. She was librarian/library media specialist at Wilderness Elementary School in Spotsylvania, Virginia, from its opening in 1998 to 2014. In addition to teaching 30 classes per week, she was the curator of the school website. She served as a Young Adult Librarian for the Dallas Public Library in the early years of her career. Mrs. White loves to read and greatly desires to encourage children to develop a love of reading. She thinks Google Lit Trips will help stir children's desire to read, and increase their knowledge of geography. The project just fell together. A couple of years ago I asked my sister, an overseas pilot for the U.S. Air, to purchase children’s books from other countries. I had these books waiting for a prime opportunity. Last fall my dad, a flight instructor, had a student from France to learn how to fly. The student, Katherena, has lived in several countries, and speaks five languages. I asked her to read some of these books to my class. Mrs. Barfield, our Instructional Technology Specialist, told me about Google Lit Trips. We combined all of the components and ended up with a wonderful lesson in which students had the chance to explore land forms and places around the world. 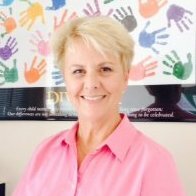 In addition to teaching first grade, Vicki is also Technology Coordinator, helped develop and maintain the Licking Heights West website. She is a National Board Certified Teacher. Vicki has a B.S. degree in Childhood Education from Florida State University. She is currently working on her Masters in the Art of Teaching, with a primary focus on National Board Teaching Certification. One of the assignments for a class was to develop a Google Lit Trip. Never having been an avid reader herself, she is always looking for new ways to entice children to read. Mrs. Witte served as Resource Specialist at Sacred Heart School, in Saratoga, California. She worked with students' learning strengths, in order to support weaker areas. She holds an M.A. in Special Education from Santa Clara University. Her experiences traveling, as the daughter of a Navy officer, gave her a love of geography that she enthusiastically shares. When she was introduced to Google Lit Trips at a local Computer Using Educators conference, she knew she wanted to apply this to a novel read by students at her school. Mrs. Witte developed the Riding FreedomLit Trip so that students could visualize locations on the east coast, and the adventures of traveling on a stagecoach during the 1800s. The main character, actually lived in an area close to her school. Many of the stagecoach routes are familiar locations to her students, so it was fun for everyone to step back in time and connect the story to local spots.